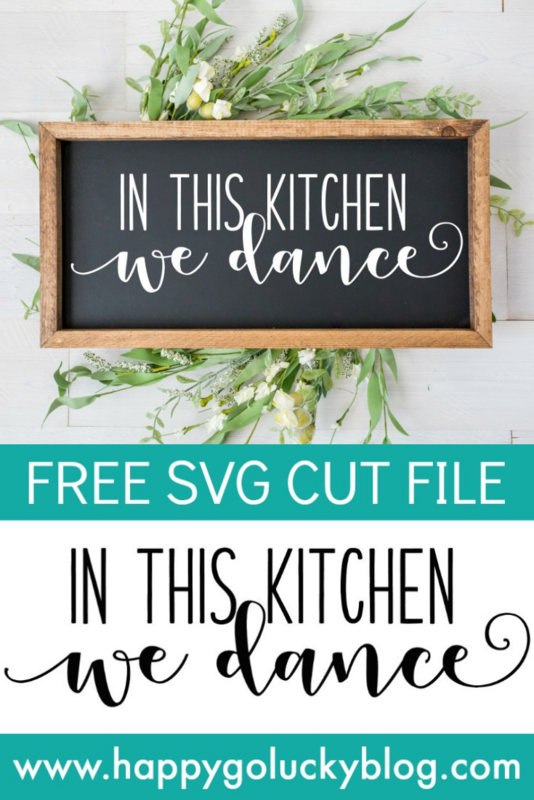 In this Kitchen, We Dance Free SVG Cut File and Printable- The perfect addition to your kitchen decor! 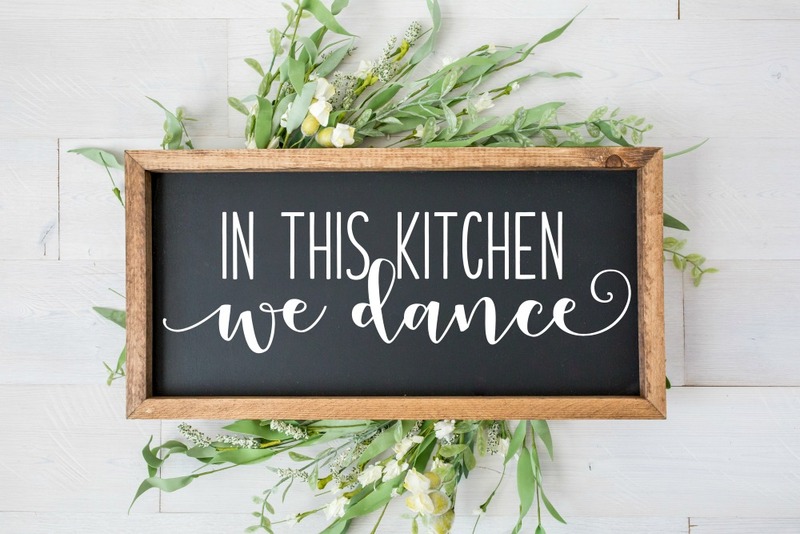 If you sing and dance while cooking, this is the perfect sign for you. Happy Friday! I hope everyone had a fabulous week. 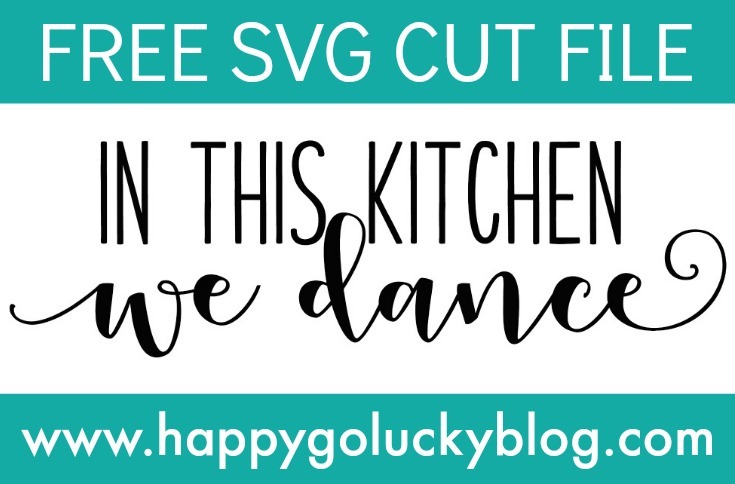 I’m back with another fabulous FREE SVG cut file and I’m so excited to share it with all of you. Don’t you just love freebies?! 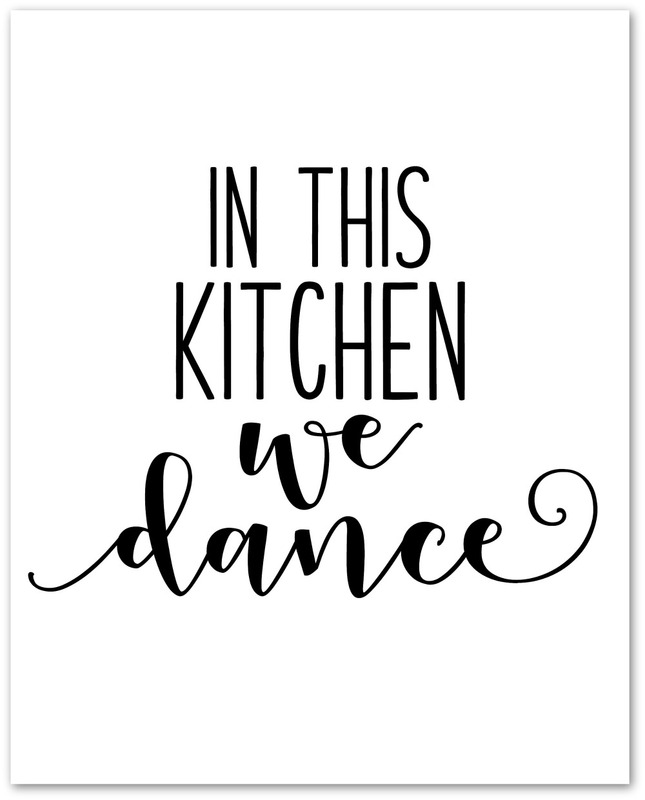 Well, I needed a fun sign to put over the bay window in our kitchen and since we listen to music and dance while cooking, this sign was perfect for us. This cut file is designed for a long piece of wood. I had Home Depot cut a 1 x 6 into 12 inch sections. This is the easiest way to do it if you don’t have a table saw at home or don’t feel like cutting the wood yourself. We have a table saw but I still have Home Depot cut my wood for me. It’s just easier. Don’t have a vinyl cutter? Don’t worry, I’m here for you. 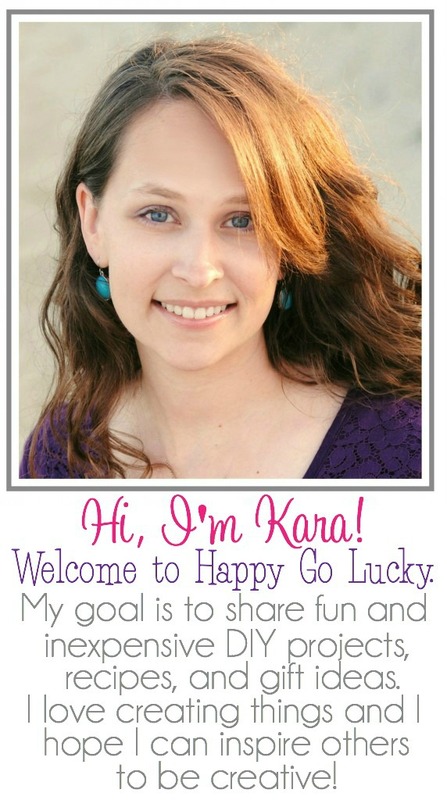 I’ve created a free printable that you can just download, print, and add to your favorite frame. A quick and easy way to create farmhouse sign without all the work. Tip: Use spray adhesive to adhere the printable to a thick piece of cardboard. Then add to frame and leave the glass out. It will look like a wood sign without needing a vinyl cutter. 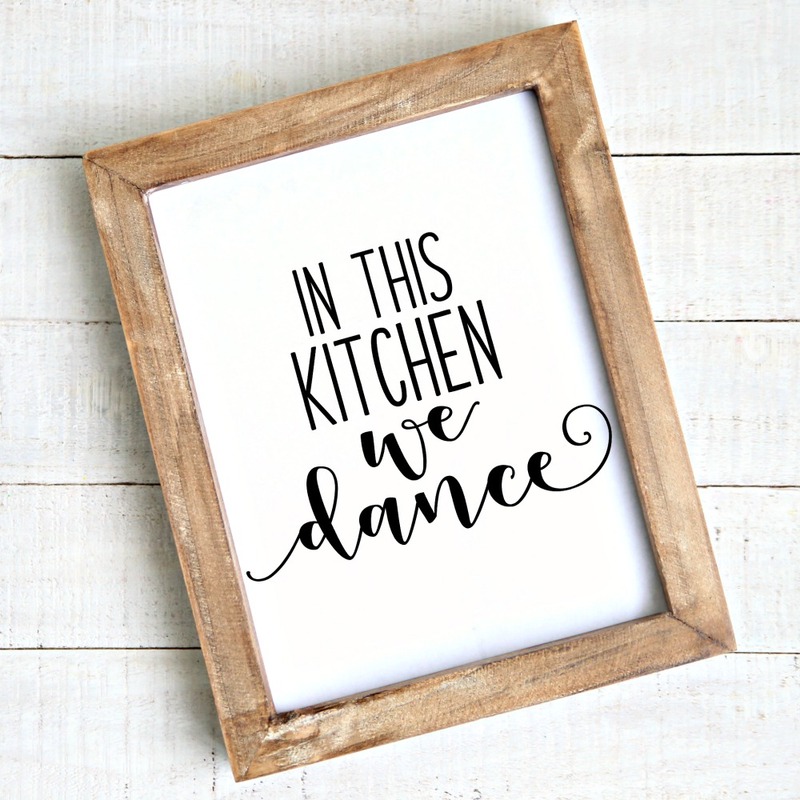 Do you listen to music and dance while cooking? If so, you need this sign! Make one for yourself and all your favorite people. You’ll love it and so will they. Looking for more free cut files and printables?